Isaiah 58 Ministries is a cooperative ministry on the near south side of St. Louis. Since 1970 we have been dedicated to helping our neighbors in the city through our many varied services. Connects services and resources to those in need. We facilitate and strengthen partnerships among area churches, restaurants, grocers, businesses, volunteers, and local health providers with residents of south St. Louis. Advocates for the poor, restoring dignity and hope. We strive to show people that they are accepted for who they are, wherever they are in life, and we are committed to a policy of non-discrimination. Refers individuals to critical community-based resources including: rent and utility assistance, health care, employment training, shelters, safe havens, and more. Educates clients in nutrition and health through proven programs like "Cooking Matters" as well as offering life-skills training. We offer counseling services, spiritual direction and recreational experiences for participants. We also provide hunger and poverty simulation education for volunteers who join us for immersion and mission experiences. Supplies emergency provisions and basic needs through our food pantry and thrift store. We are responsible stewards of the $1 million of in-kind donations that we receive every year, including adult and children's clothing, food and other essential items. We are a leader within an integrated distribution network. We are centrally located and recognized as a trusted neighborhood resource easily accessible for those dependent on public transportation. If you remove the yoke from among you, the pointing of the finger, the speaking of evil, if you offer your food to the hungry and satisfy the needs of the afflicted, then your light shall rise in the darkness and your gloom be like the noonday... Your ancient ruins shall be rebuilt; you shall raise up the foundations of many generations; you shall be called the repairer of the breach, the restorer of streets to live in. 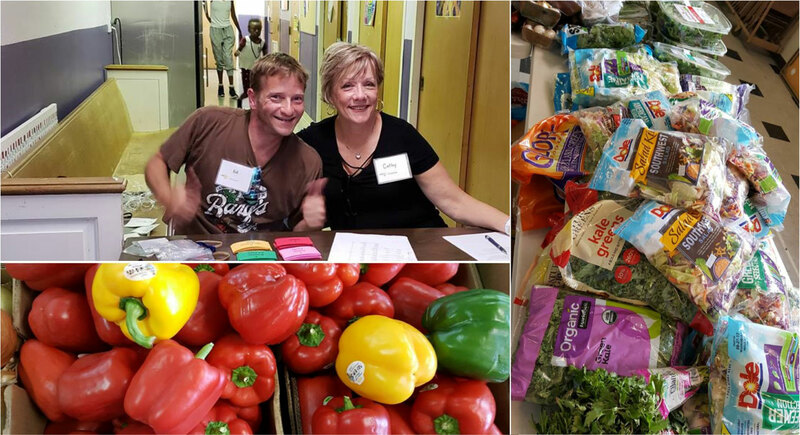 Learn more about our Food Pantry and the guidelines and expectations we have for providing a safe and welcoming place for all people who walk through our doors. Through our various events and classes, individuals gain needed knowledge about a multitude of issues in order to better navigate through life while building bonds with one another that will last a lifetime. Helpful numbers for rent and utility assistance as well as links to other social service organizations. We've also provided links to the websites of supporting congregations.